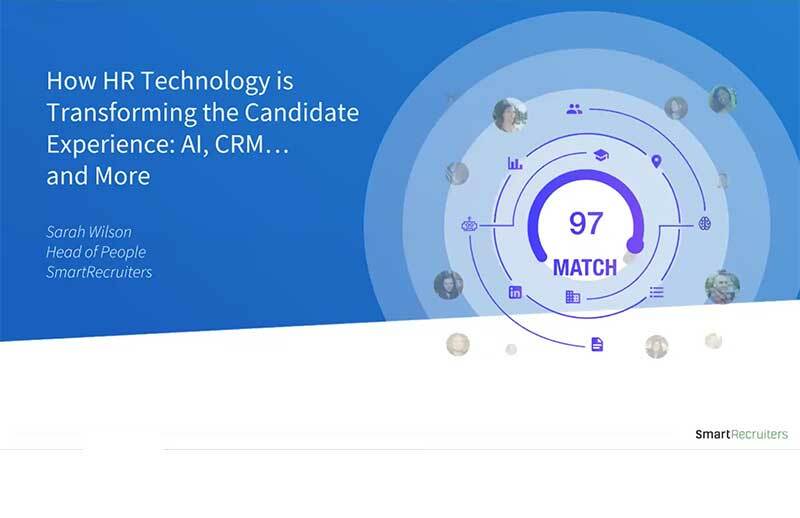 How HR Technology is Transforming the Candidate Experience. AI, CRM... and more. Technology is rapidly transforming the way we interact with our candidates: from having a chatbot answer first questions about a job, fully automated skill assessments to candidate relationship management programs that pick the right content at the right time to re-engage talent from your own talent pool through targeted email campaigns - nothing is impossible anymore. But how do recruiters leverage the full power of this new technology without losing touch with the human side of recruiting: the people they want to hire?